This particular article evolved from a letter from the editor in Horn Book Magazine. The context of the letter is to explain, essentially, to indie writers why publications that review traditionally published books can’t consider reviewing self-published books. This is in spite of the big “BUT”—i.e. but there are a few outstanding indie books, yet there are also some bad traditionally published books. In the beginning, traditional publishers and professional book reviewers simply IGNORED self-published books. Self-publishing has grown tremendously. There are many millions of self-published books being sold and read each year, taking up a very significant market share. We’ve finally caught the attention of traditional publishers and, now, even editors who review traditionally published books. They’ve taken notice. It’s an article in the Washington Post about self-publishing. It’s angled so as to explain what’s wrong with self-publishing books, in a way. Maybe it’s not just a message to authors. I read it this way: They see more and more readers enjoying self-published books, and this is a marketing attempt to sell the perception that traditionally published books are better. It may be more than that, too. Traditional publishers not only want more readers to prefer their books, they also want the best indie authors to try to jump through the hoops via agents so that they will have more good material from which to choose. But I’m looking a little beyond the actual context with my last couple of points. What is clear is that we’ve seen many articles on various aspects of self-publishing in major publications in the past few years. Self-publishing is gaining more traction. Authors tend to prefer feeling like artists when they write. Publishers tend to prefer to publish what they feel is more likely to sell. Self-publishing opens up a fascinating possibility: Writers can write for art’s sake, not worrying if they may be sacrificing some business. An author can choose to write for a smaller audience. But there’s another side to this coin: Readers are paying money or, at a minimum, investing time to read books. As a reader, if you pay for a book, you expect quality. Unfortunately, not all self-published books have delivered on quality, which brands a poor image for self-publishing at large. On the other hand, there are self-published books that have delivered on quality, which helps brand a good image for the possibilities of self-publishing. And then there are traditionally published books that have failed to live up to readers’ expectations. This tends to make readers think about investing much less money on a self-published book next time. This brings up to an important question: How do you know what’s worth reading and what’s not? An intuitive idea is some sort of stamp of approval; some attempt at quality control. It might sound good at first, but it gets a bit tricky. Traditional publishing would have you believe that their publishing label is the ultimate stamp of approval. It may be true that most traditionally published books have better editing than most self-published books. Nothing prevents self-published authors from hiring quality editors. There are, in fact, very well-edited self-published books. But if editing is quite important to you, traditional publishing might be more likely to deliver on editing. Or if you can find a quality editor whose work you like, you could read books edited by that editor, traditionally published or not. There are many ways to go about this. Some self-publishers would like their own stamp of approval. Those who believe their books are better in some way often wish to have some means of easily differentiating their books from what they believe to be worse books among customers. Here’s where it gets a little tricky: There are many ways to judge what makes a book better. Editing is just one. Storytelling is another. There are several qualities that factor into this. And then there is more than one way to tell a great story. To a large extent, customers judge what’s better. Sure, they can leave reviews (but let’s not open that can of worms just yet). They can also recommend books they enjoy. Let’s give the customer some credit: He or she is likely to check out the product page and Look Inside. But there are various stamps of approval. You can get an independent review from Kirkus, for example. You can get review quotes. There are indie reviewers and publications that review indie books. There are author groups and reader groups attempting to identify quality as measured in some way. Imagine that we’re talking about painting, not about writing. Both are art forms, right? Suppose we give the painters a challenge: They must paint a picture using a page from a coloring book. Would it be fair to take all the painters who fail to stay within the lines and REJECT their chances to display their art in a gallery because they failed to meet this elementary standard? We’d lose some brilliant masterpieces if we did this. Staying in the lines is arguably not the most important talent that one can find in a painter. Though for some kinds of painting, this talent may be quite desirable. Not everyone appreciate the same art. Some may prefer paintings created by artists who could easily stay within the lines; some may prefer paintings by those who couldn’t do this. Following the rules of spelling, grammar, and style are, in a sense, like painting within the lines. The analogy isn’t perfect though. A painter can’t find an editor to polish up the painting. A painter must perfect his or her own masterpiece. An author can hire an editor to polish up grammar and spelling so that more readers can appreciate the art, and so that readers won’t be distracted by hiccups along the way. Saying that the art of storytelling is more important than the art of grammar isn’t an EXCUSE to completely ignore the latter. Are the rules of English really rigid? If you master the art of spelling, grammar, and style, you want credit for your strengths. These are important to you: That’s why you learned them. You look around and see others making mistakes. You see a few immensely popular books making spurious spelling and grammar mistakes. Frustrating, isn’t it? But there is more to a good book than just spelling and grammar. There really isn’t an excuse for books to lack spelling and grammar correctness, but, alas, it happens. Even those who are very good at these make mistakes, and those who self-edit often read what they intended to write instead of what’s actually there. Some people believe that there is only one rule of English: To communicate your idea clearly to others. If others can easily understand what you’ve written, then you’ve followed the rules. Many will see an instant problem with this: As soon as most people abandon the rules of English, it will soon become a challenge to communicate clearly. We do need some rules. A painter must perfect every square millimeter of his or her canvas. And so a writer must perfect every character on the printed page. You can’t say that your writing is a work of art and therefore consider your book finished just because you’ve reached the end. As an artist, you must work diligently to perfect your masterpiece. As a craftsman, you must learn to master all elements of your craft. Because there is much more to writing a great book than just writing a great story. The way you choose your words, the way your story flows, the variation in sentence length, the choice of vocabulary to suit your intended audience, the way you present your ideas, the perspective from which you describe events, the way you develop characters—these and so many other things go into storytelling. And, yes, spelling, grammar, and style do matter. Because when they aren’t right, they do detract from the story itself. I do. Well, I obviously can’t read EVERY self-published book. But I do read several self-published books every year. I throw in a few classics, too, because I believe that reading these is valuable toward writing well. I’m not the only reader out there who supports self-publishing. There are hundreds of thousands—perhaps millions—of self-published authors. Many of these authors read books. Not all, but many do like to support self-publishing by reading other self-published books. These self-published authors have families, friends, acquaintances, and coworkers who also support self-publishing. Many people don’t want to read what’s popular. Many do: Bestsellers sell an insane number of copies. Many people do browse the bestseller lists, expecting those books to be better. But there are millions and millions of readers, and so a significant number do prefer to read what’s not popular. They’ve tried popular books and didn’t, for whatever reason, appreciate them. Maybe they will like a book written for a much smaller niche audience. The main thing is that readers want great books. Self-publishing may have good potential, but readers need to be able to find books that they enjoy. Out of the millions to choose from. How do you define ‘great’? One man’s trash is… you know how it goes. But it doesn’t matter: As a reader, you want to find the kinds of books that you believe are great. And you don’t want to find books that you can’t imagine anyone calling great. When customers try self-published books and have a poor experience, they’re less likely to try self-published authors again. Until they find themselves dissatisfied with expensive traditionally published books. Then they might reconsider. There isn’t much that we can do about the worst of the worst at the bottom. Not all those at the bottom are bad books: There are some well-written books that simply have little audience, or just didn’t have the right cover or blurb to get attention. The problem with removing the worst books is the impossibility of efficiently identifying them. The other problem is that Amazon makes an amazing amount of money off even the books at the bottom, simply through huge numbers, and so it wouldn’t make sense financially for Amazon to remove them. We can all do our best to continually strive to improve our own books. We can refrain from publicly discussing bad books, as that paints a poor perception that hurts even the best self-published books. We can find great examples of excellent self-published books and mention those publicly. The more people who read and enjoy self-published books, the more readers there will be who support self-publishing. We can offer tips for other self-published authors (indirectly, perhaps—not as unsolicited advice, which often has unintended effects). We can educate readers about ways to find quality books. Follow me at WordPress, find my author page on Facebook, or connect with me through Twitter. You have said so much more eloquently many of the things I was trying to say on my poetry blog post today. Haven’t found a reader yet who thought otherwise. 🙂 Thank you for sharing this. And that’s why we write. Or why we should be writing. It’s all for the sake of the readers. I’ve reblogged this, well written Chris. The business side of writing is something I know I’m prepared to do with hiring an editor when I am ready. I feel like if you take your art seriously, you are in control of putting your best foot forward, why not invest in your art to make it as such? Again, great blog! Think of all the stories that could have been told if they weren’t put in a slush pile by an agent (JK Rowling was rejected 12 times before publishing Harry Potter). At least with self-publishing, the readers get to decide what’s”slush” and what’s not, which I think is how it should be. And while there are plenty of horrible indie books out there — poor cover design, bad editing, poor writing in general — the sales will indicate the quality over time. I don’t see why people freak out about the overflow of crappy books being produced because trust me, they won’t sell! And I know, since I published my first book without editing. Yes, every book has a chance now, and the readers themselves can help any good book succeed. I think we owe a big debt to the romance writers – they went for self-publishing in a big way, and continue to do so – and their readers followed them, opening doors for many others. Romance readers can be voracious – and they need to get their fix. The same writers who got pennies from Harlequin are getting dollars from SP, at the same time they are giving their readers the same value they always did. It’s great for the readers and the writers, an indication of problems with the publishers. I don’t believe traditional publishing will be able to compete in the long run. Maybe for specialized books; possibly for textbooks (as long as the schools collude with the publishers as they are doing now). But traditionally-published books are simply too expensive for reading on a regular basis – when you have alternatives, as you have now. You can usually afford to pick up several maybes for the cost of ONE trad pub book – if you do a bit of diligence and read inside the book, those maybes have a decent success rate (and not all trad pub books are worth reading). And for those authors you can’t get in inexpensive ebooks there are used booksellers doing a brisk business. I think that’s why they’re lashing and flailing about: they’re scared. And there’s nothing they can do to cut their real costs enough to recompense the authors properly (except for what they’re doing, blowing all their cash on the 1% they’ve anointed). I may be wrong, but I think the major shifts have been in favor of the authors. Discoverability will come as reviewers learn to mine the much larger number of books available – and readers settle in happily to their niche reading. In the old system many books NEVER became available, those authors NEVER got a chance to improve – and they stopped writing. Yes, we have the pioneering self-published authors who delivered great books and established success—and the readers who supported them—for paving the way. I, for one, am quite grateful to the romance authors and readers (and writers and readers in other genres) who helped make self-publishing what it is today. Finally, Chris, I feel like a writer. An author. Because (surprise, surprise) people are buying and reading my self-published books and liking them. Because of Amazon KDP. I love it. Thanks for your posts. Great blog for writers – and readers. Since acquiring a Kindle I’ve read a lot of self-published work, and I have found several strong voices that scream out to me. These authors really are solid. I wouldn’t have read their work without self-publishing. Another reason to applaud this form of publication. I don’t want to imagine being denied the opportunity to hear those voices. Great post! I especially liked your one rule of English: To communicate your idea clearly to others. Thank you. 🙂 An important goal, if nothing else. 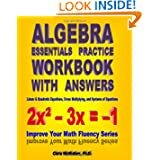 Where can I read self published books? I’m really looking for self published graphic novels on amazon. Reblogged this on Chris The Story Reading Ape's Blog….. An Author Promotions Enterprise!. Great post, Chris. We are witness and actors of a (r)evolution in the publishing industry triggered by Amazon and the like. Jeff Bezos has opened the gates and the gatekeepers are looking at each other unsure of what to do. Self-publishing has created a marvelous thing: everyone can publish a book, and establish a one-to-many direct relationship with readers who buy and enjoy the new voices. There’s a terrible monster that haunts the publishing valleys, too: everyone can publish a book, and readers are exposed to the slush pile for the first time visible to the many. Dinosaurs that will disappear are those publishers who hide their head in the sand and still believe that their service and added value to writers is primarily to get published, and that writers need to put up with everything else for that privilege. This business model is no more sustainable because the basis for it is no more. It will disappear, and those who don’t change business plans will be soon forgotten and crumble faster than IBM did when the clone PC and the primitive Windows operating system made through to the market. I also see a fundamental change in the query process. Agents will perform like professional sport scouts. They will look proactively for writers online; after all, a promising athlete doesn’t go to every scout’s house and run 40 dashes in his front yard hoping the scout’s lurking. The athletes play their game, and the writers will write their novels. In both cases, the audience is there already, scout or not scout, agent or not agent, and for a writer that is all that counts. All that counts is to write great stories for readers to get lost in the vision that haunted the writer. I love your analogy with sports agents. 🙂 Have you written about this (or do you plan to). If so, I would like to link to that (or reblog, or you could guest blog). If not, I might like to blog about it (if you wouldn’t mind). Thank you. I shared it with Twitter. Reblogged this on The Crazy Lady Speaks. Whether you are an Indie, or a writer in a publishing stable Chris, when it comes to the thorny subject of errors, I’d say that both camps are equally guilty. The big five publishing houses do themselves no favours when they put out a cheap and nasty eBook version of a best seller, hoping to gain a foothold in the digital market. I have several examples in my Kindle library to back up my assertion. In this instance, for ‘cheap’ read poor quality. But I agree with you Chris. A lot of eBooks put out by mainstream publishers are far from cheap when it comes to purchase price. You know the industry is changing when, for the first time ever, agents are now approaching self-published authors and offering to take them on as clients. And anyone who’s read books before knows that there’s PLENTY of traditionally-published crap produced every year, both in quality of storytelling and in editing. Readers should feel flattered that they are now the gatekeepers for what sells and what doesn’t. The good books, however they get published, will sell, and the bad ones won’t. Quite true. Readers are the ones buying the books and investing many hours in them, so it’s great for them to take on this role. Amazon advertises that this is the way it should be. Agreed. You have to wonder how many more stories are out there you’d be interested in, but never heard of because an agent decided for you that it wasn’t worth the investment. Fabulous article Chris. I’m reading an AMAZING self-published book called Song of the Mountain, by Michelle Isenoff, absolutely impeccable writing. But too often that’s not the case. A few typos and slippy punctuation don’t bother me. In fact, I doubt I’d notice. But I do notice poor plotting, inconsistent characterizations, head-hopping POV, lack of tension, and funky pacing. These stand out for me like red-flags in traditional and self-published works. Thank you. 🙂 Time will tell. I have a long reading list already, but in the past couple of years I have read several books by authors whom I discovered here at WordPress. Reblogged this on Have We Had Help?. Chris you have learned the art of expressing yourself so well. Already the lines between Traditional and Independent writers are beginning to blur. It seems that agents still make it hard for writers, but they have rules they must follow to stay afloat. The pressure is on the Indie industry to police the quality of writing. Editing is still a key for talented artist to provide the best for readers. Thank you for the kind words. 🙂 I see those lines blurring, especially when I see traditionally published authors try their hands at self-publishing (even if under an alias). That is, it’s not necessarily one or the other, self or traditional; it can be both. Thank you Chris for this post. I especially liked your comparisons of business and art, art and English rules. However, art does have its own set of rules like color combination, composition, et al. I wrote about Indie Author Stigma in a couple of blog posts and how I felt affected by it despite all of my efforts to avoid contributing to it. 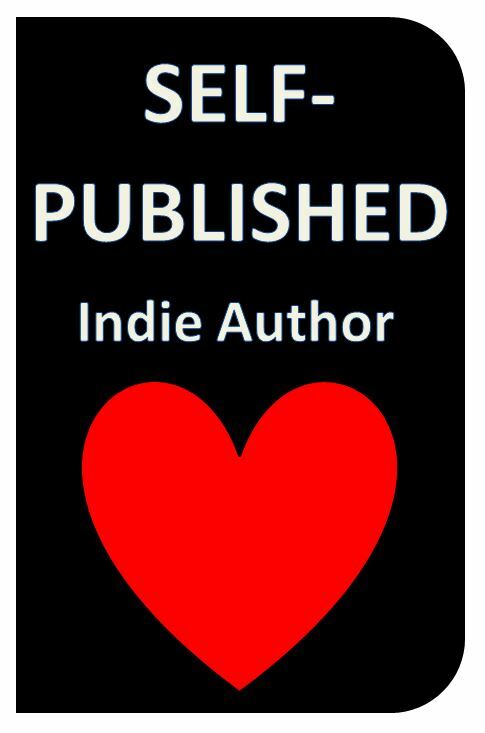 It is sad but true that the moniker of “Indie Author” carries the stigma of a low quality product for all of us. Thank you for raising that great point about rules in art. 🙂 I remain hopeful that the perception will change, or at least the acknowledgement that there are many good self-published books. At least, more indie success stories are circulating, and readers are supporting self-publishers. Being a professor may have marketing value to agents or traditional publishing houses, and in general, literary works may be better suited to that route. However, most publishers don’t want to purchase reprint rights to a book that has already been released to the market. They tend to strongly prefer to buy first rights, i.e. before the book is published. You have to play the marketing card that you have. Your marketing card is for something more literary, but another similar card is that you’re trying to write a different brand of erotica. There are readers who are looking for that. Now the problem is how to find them, but the answer is effective long-term marketing strategies. Good luck with your book.